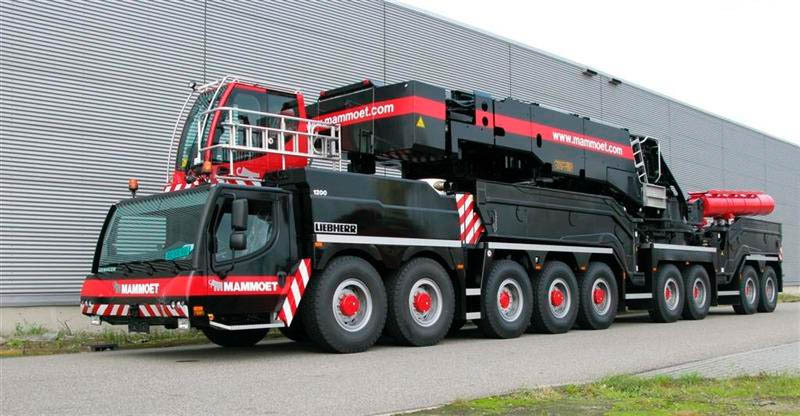 The Liebherr LTM 11200-9.1 first appeared at the BAUMA exhibition in 2007. 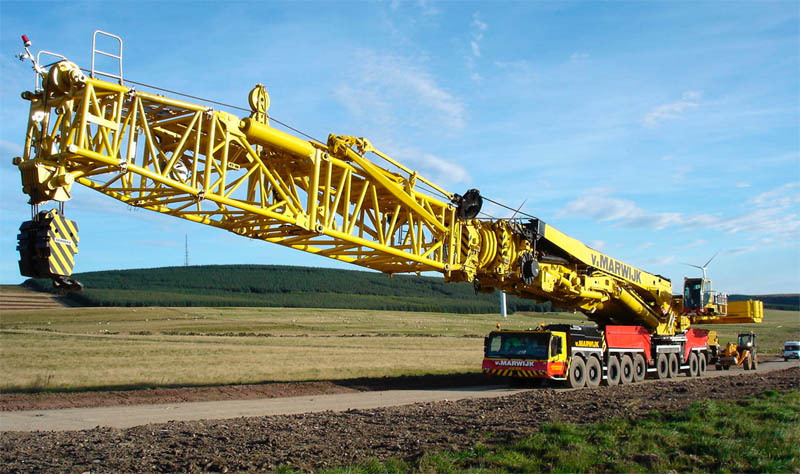 At its introduction it was the largest mobile telescopic crane in the world. 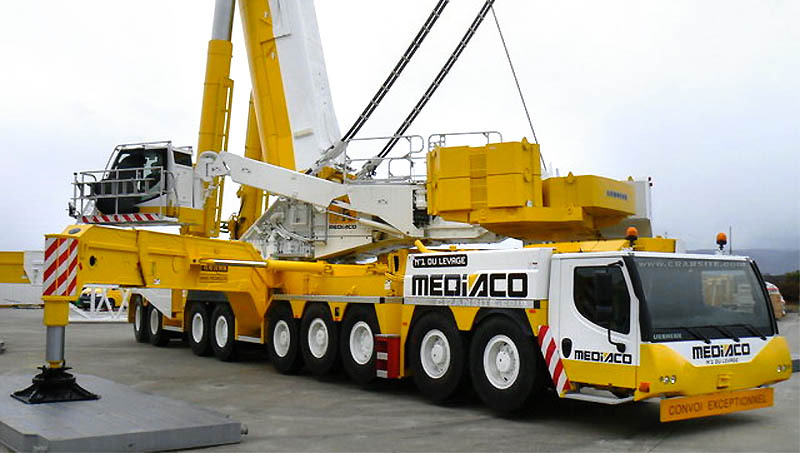 The crane travels on a nine axle carrier and the weight of the boom is such that it has to be transported on a separate vehicle. 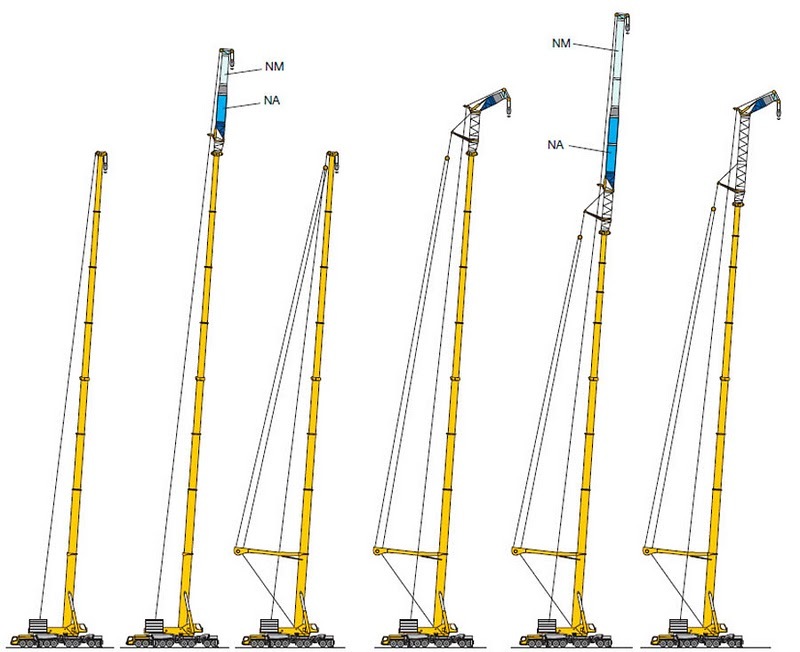 A very powerful four part short telescopic boom can also be implemented with the four inner telescopic parts extended.This method has already been tried, tested and approved on the LTM 1500-8.1. 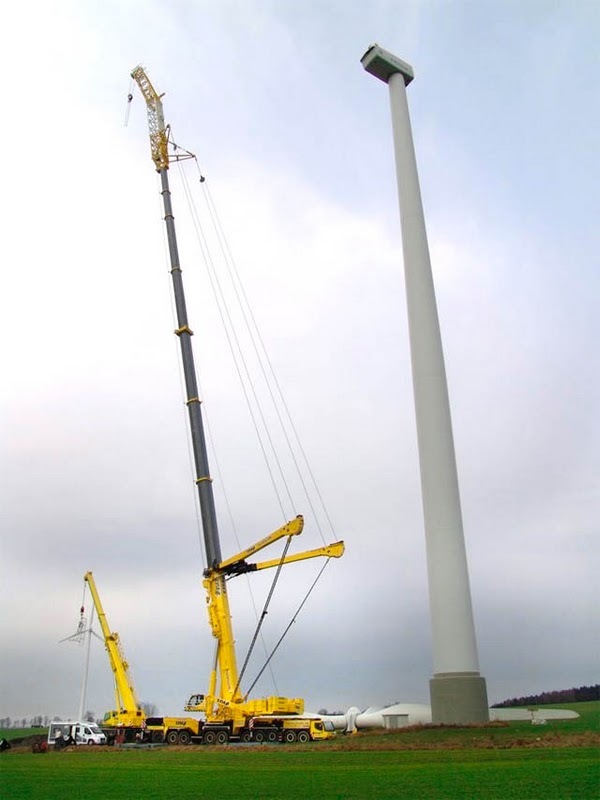 A radius of 55 meters is attained with the help of a 3 meter lattice head section. 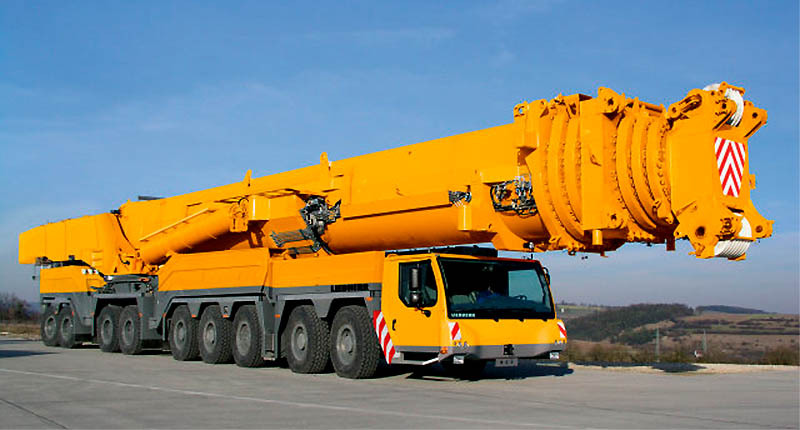 If you’d like to inquire about availability of this machine in your area, the Liebherr Group has branch offices and sales partners in many countries, including Germany, Britain, Ireland, and the United States. The price of the full unit is something to think about, however – 12.5 million dollars! 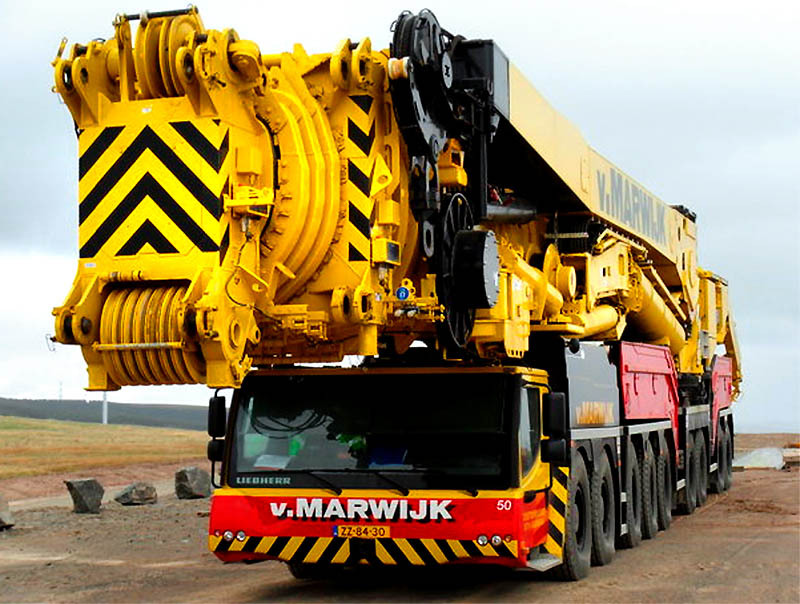 Anyway, check this gigantic machine out! It is truly amazing.